Winyard’s Gap Inn is a traditional family owned English pub set in the picturesque Dorset countryside. 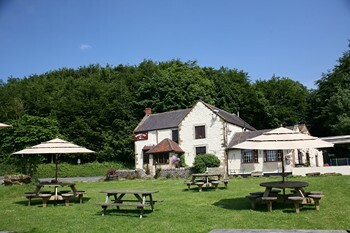 It boasts a spacious beer garden with the most beautiful views of the surrounding unspoilt rural area. It has a stylish restaurant that can easily seat 60 people and in the comfortable bar you can enjoy real ales, guest ciders, fine wines and a large range of spirits. Food is made with local and seasonal produce where possible to bring guests the very best cuisine from the legendary Organic burger to locally caught fresh fish and game. This is a great place whether you are looking for a wholesome evening meal, a light bite at lunch or a few drinks with your family.